Take the first step today and schedule your complimentary consultation. DeHenzel Training Systems offers In Home Personal Training services throughout Northern Virginia and Washington DC. Aside from in home, personal training is also available at the office gym or outdoors at a local park. 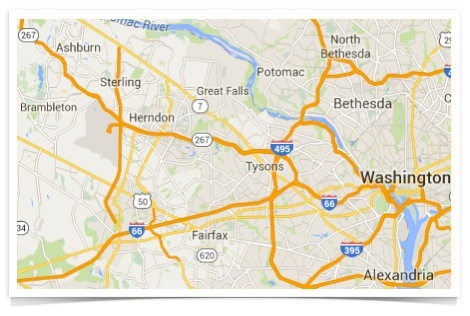 Within Northern Virginia, we service the counties of Arlington, Fairfax, Loudoun and Prince William. We also service the downtown Washington DC area to include popular neighborhoods in Northwest DC and other surrounding locations. Some of the more popular cities in Northern Virginia that we service are: Alexandria, Annandale, Arlington, Ashburn, Burke, Centreville, Chantilly, Fairfax, Falls Church, Gainesville, Great Falls, Haymarket, Herndon, Lansdowne, Leesburg, Lorton, McLean, Oakton, Reston, Springfield, Sterling, Tyson’s Corner, Vienna and Woodbridge.